The Basile Bearcats, behind consecutive championships by Gavin Christ and Raymond Bushnell, won the Evangel Eagle Open on December 13th in Shreveport. Basile racked up 119 points to get past Bishop Lynch, TX (109 points) and Lakeside (99 points)¹. Five other Bearcats placed in the top 2-5 spots. 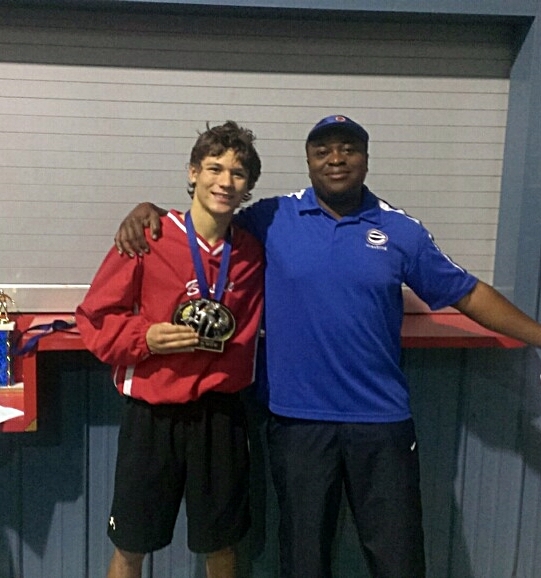 Basile's Raymond Bushnell (120 pounds), who registered falls in 0:36 and 2:05 was voted the Outstanding Wrestler in the lighter weight classes. 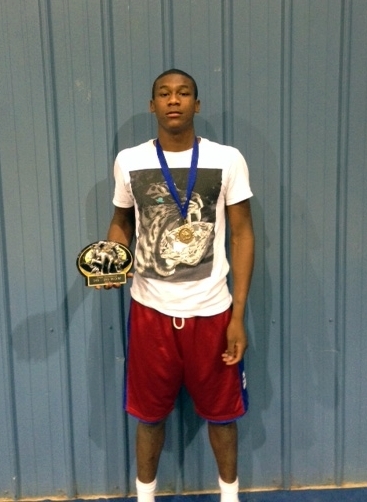 The home team's Roderick Ward (152 pounds) was selected the Outstanding Wrestler in the heavier weight classes. In one of the larger weight classes of the event, Ward scored falls in 0:48, 1:24 and 0:39 before scoring a 15-0 technical fall in the finals. The Warriors of Lakeside had three champions in John Watson, Thomas Lambert and Luke Griffith. Sam Houston had dual champions in Matthew Matherne and Tristan Norwood, as did Ouachita Christian with Matthew Matherne and Sam Pitts. Nathan Pitts of Parkway, Christopher Inocencio of Doyline and Logan Daggs of Crossings Christian, OK were the other winners. ¹ The initial final team scores on TrackWrestling were incorrect.